We just learned about the type of dog the pug. 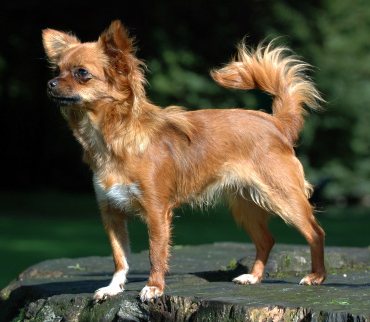 Chihuahuas are the smallest type of dog in the world. They come from Mexico, and they can have long hair or short hair. Some are known as apple head chihuahuas and others are deer head. The apple head means they have a round shaped head, and the deer head means they have a longer nose and thinner face.